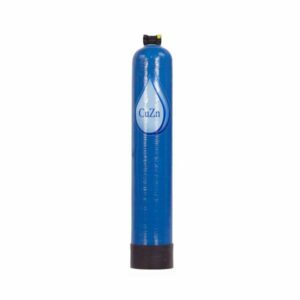 Home / Water Softener Alternatives / Water Softener Alternative. No Salt. Large. 600,000 gals! Removes scale, the problem caused by hard water – without salt. For over 8 grains. Lasts 5 years or 600,000 gallons! This water softener alternative is a whole house hardness scale inhibitor. This is a great way to deal with the problem of hardness, which is scale buildup. This alternative to traditional water softeners leaves healthy trace minerals. You do not add salt. No backwash is required, therefore no electricity is used. No maintenance other than changing filter media after 600,000 gallons! Check your water bill – that’s several years. 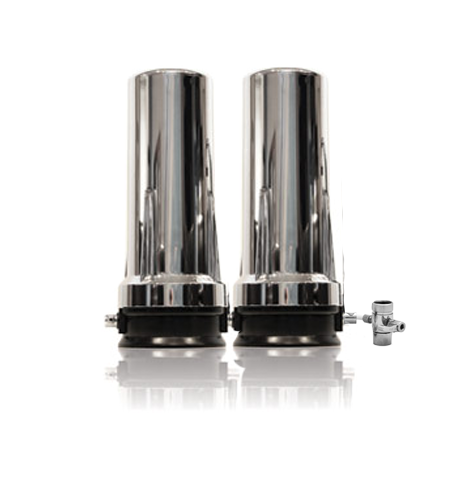 This water softener alternative is a filter suitable to inhibit scale for water with hardness above 8 – 10 grains. (171 ppm) Maximum hardness level is 25 grains. We recommend this over the traditional hardness filter. It will do more and last longer. Addresses the problems caused by hardness, while leaving healthy trace minerals. The great newer filter material is called Template Assisted Crystalization Anti-Scale Media. The media acts by accelerating the transformation of the calcium and magnesium minerals into harmless nano particles. 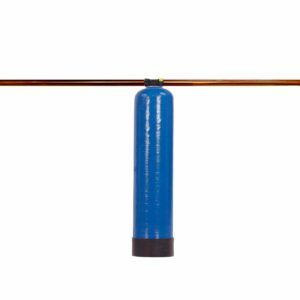 When the inlet water goes into the water conditioner tank, the up flow pulls the water through the (TAC) media which then acts as a dosing catalyst and pulls the hardness minerals of calcium and magnesium out of the solution. Because the hardness minerals have been transformed into nano particles, these nanoscopic particles make their way through plumbing systems without attaching on to pipes, fixtures, valves, or heating elements. VERY STRONG WATER FLOW! Up to 12 gallons per minute! Great for large homes with 4 plus bathrooms. Do not replace filter media until about 600,000 gallons! Check your water bill to see how much water you use in a year. Many of our customers use about 90,000 gallons a year. Does not require backwash! 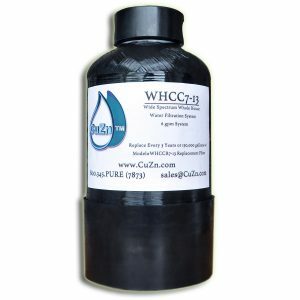 This whole house water softener alternative filter will eliminate problems caused by hardness and scale. This will protect your plumbing and appliances from staining, corrosion and scale that clogs flows and shortens appliance life. This is a single tank whole house filter for use on municipally-treated water. It is most often combined with other filters. Capacity: lasts 5 years or 600,000 gallons, whichever comes first. Water Flow: up to 15 gpm! That’s really strong! Fittings: 3/4″ inlet/outlet; suitable for 3/4 or 1″ inch pipes. Email [email protected] or call 866-482-6803. If we don’t pick up, leave a message and we’ll be back to you soon.